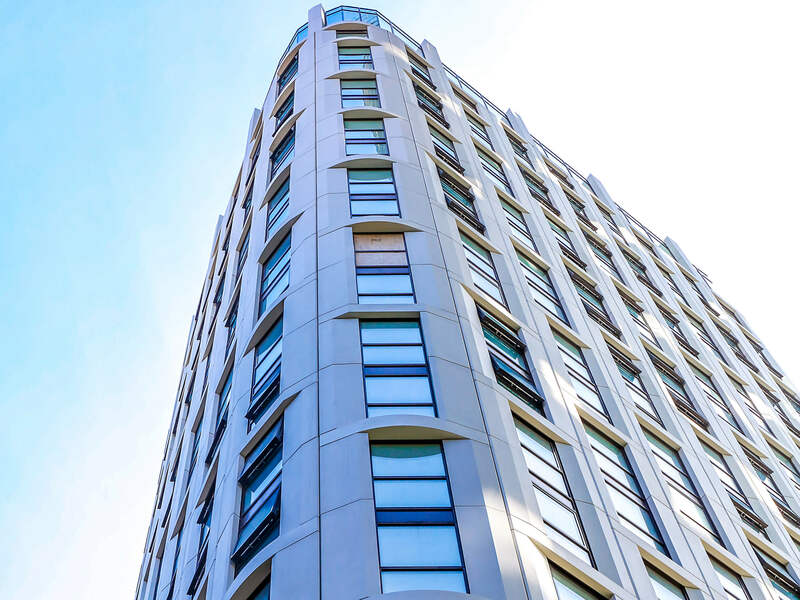 Rainscreen cladding specialists Metalline are the first to use an innovative stone textured finish on their range of CWCT certified Unity rainscreen cladding panels. 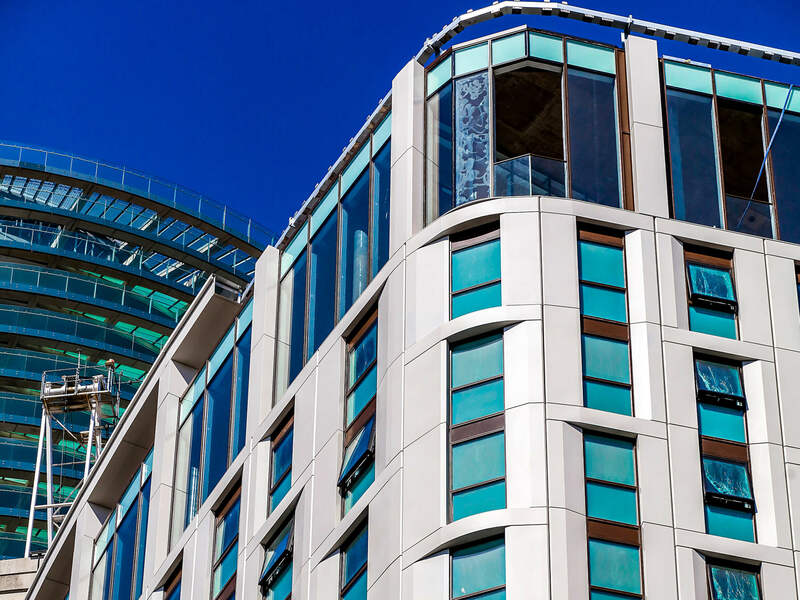 Rainscreen cladding specialists Metalline are the first to use an innovative stone textured finish on their range of CWCT certified Unity rainscreen cladding panels. The finish, which to the naked eye looks like stone is a perfect substitute for natural stone cladding panels and offers a range of cost saving benefits. The use of aluminum also offers the architect more design options. 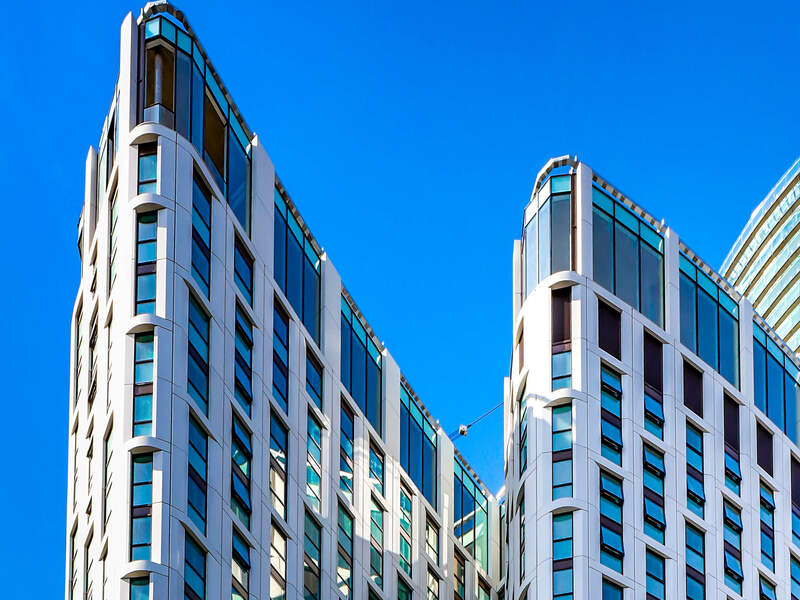 Metalline, who have worked closely with contractors Alumet on a number of capital projects in London presented their new finish to the design team and outlined the huge cost savings that could be achieved by specifying their aluminium Unity rainscreen panel with the new stone textured PPC applied. 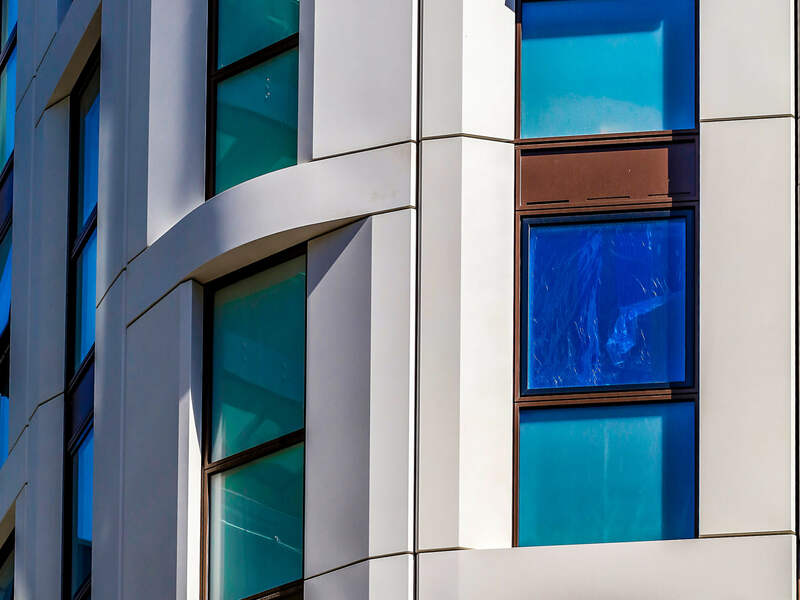 The external façade when completed will feature over 3000 panels, both flat and curved in stone white and include fittings and bracketry for a unitized system. 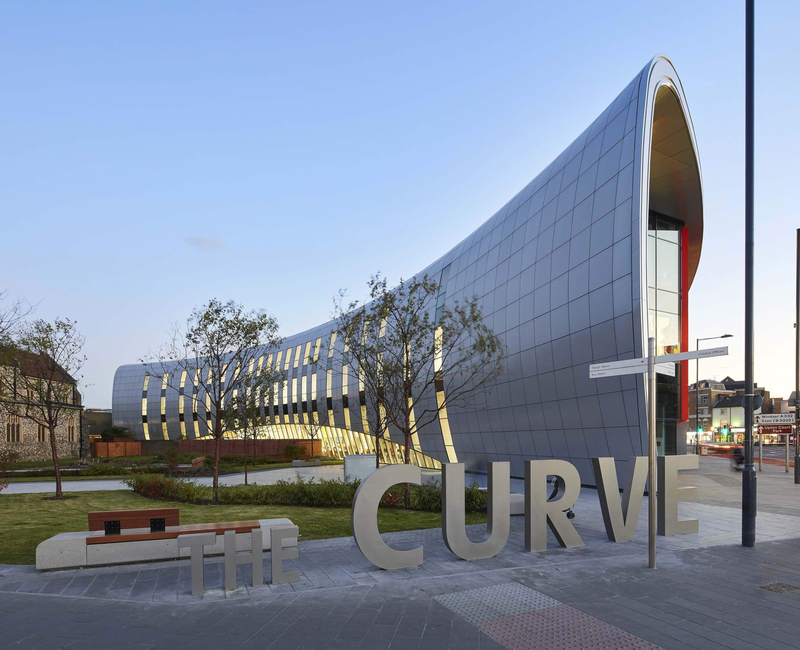 This ability to mirror a natural finish on aluminium Unity rainscreen panels has led to a number of interesting approaches from developers looking to enhance the external envelope of their project. Metalline’s expertise in fascia finishes extends beyond Polyester Powder Coating applications. 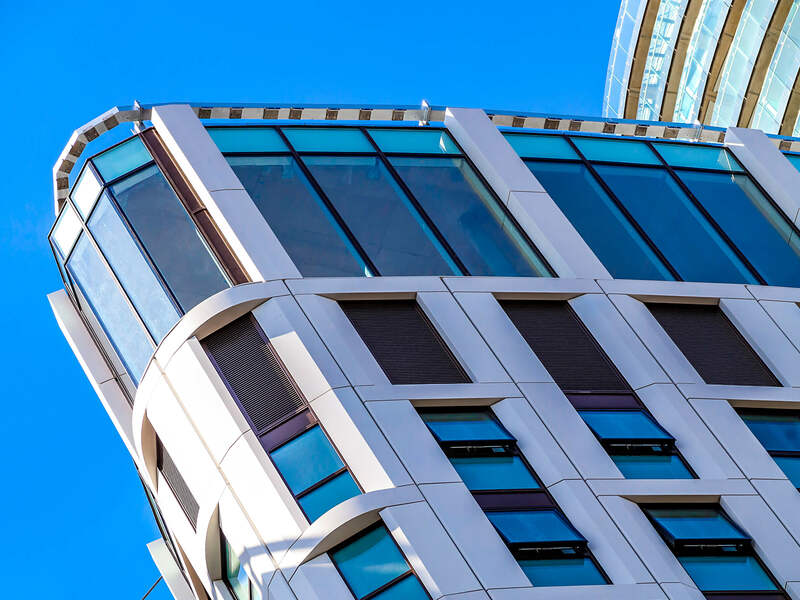 Taking advantage of the latest research and development into anodised finishes has seen Metalline engaged by a number of leading architects and contractors to advise and supply fabricated aluminium with an anodised finish whose colour is guaranteed for the life cycle of a building. 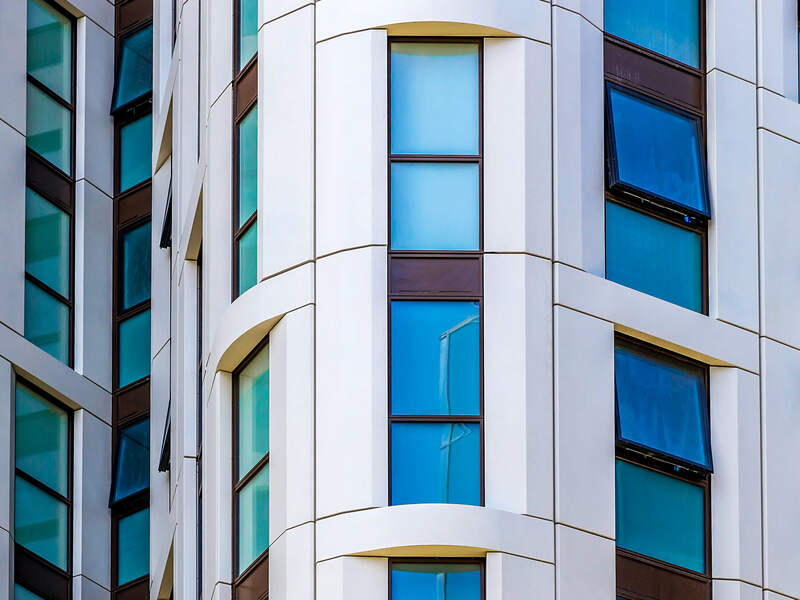 Available in a full range of Anolok anodising finishes, specifiers are now able to enhance the aesthetic look and feel of a building’s façade in a choice of colours including Natural Silver, Bronzes from light to dark, Regency Gold 1 & 2, Black and specialist Anolok anodising II Blue-Grey and Stone-Grey finishes. 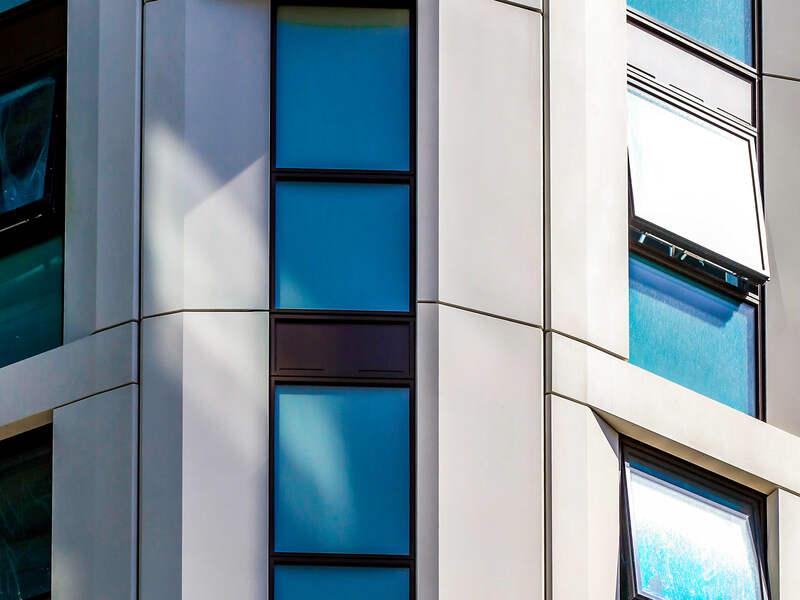 The Metalline range of Unity rainscreen panels and Ultima insulated panels are made from solid aluminium and use an A1 rated non – combustible insulation core on their insulated panels to help meet the latest requirements in fire safety. Cills, fins & pressings are integral to every buildings fascia and the intricate detail and design requirements are often overlooked. At Metalline we have a back catalogue of extensive designs and drawings to help specifiers and designers achieve the finish they require.